CBS released a number of trailers for shows coming this next season. Forget about comedies starring Kevin James, Joel McHale, and Matt LeBlanc, what everyone was really anticipating was a first look at the new 'Star Trek' series. Unfortunately, the first teaser didn't provide any footage but did present the official logo. Promising "new crews, new villains, new heroes, new worlds," the fifty-second teaser takes a flight through the galaxy before the logo reveal all while the classic theme music plays. It's an exciting time for Trekkers (or is it Trekies?) 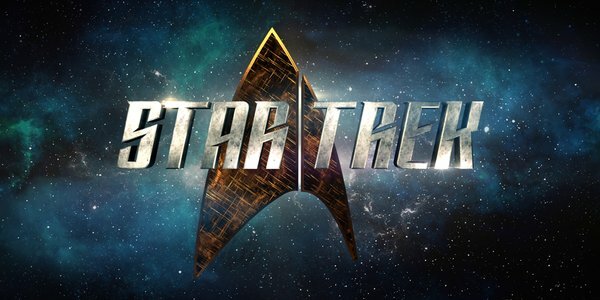 with another big screen version coming this July with 'Star Trek Beyond' (movie producer/writer Alex Kurtzman co-created and produces the show) and the new CBS show arriving in January. Fans have good reason to be thrilled with Bryan Fuller (Hannibal) on board as the showrunner. The former writer of 'Star Trek: Voyager' and 'Star Trek: Deep Space Nine,' knows a thing or two about its legacy and what viewers want. As an added bonus, Fuller has brought in Nicholas Meyer, director of 'Star Trek II: The Wrath of Khan,' as a consulting producer and writer. The new show will first premiere on CBS before moving over to the networks' new digital subscription service, CBS All Access.